Need a good, simple and CLEAN mounting solution on your Ruckus or Grom for virtually ANYTHING??? Check out this AWESOME and simple mounting solution! 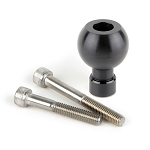 This ball is compatible with the line of Ram Mount products designed for the 1" Ball Mount! Everything from iPods to iPads and beyond! Need to hold you phone? Use the Ram X-Grip... it'll hold your phone tighter and better than any mount on the market, no matter what case it has on it! They also have universal setups, you could mount anything to it! Heck, they even have a nice gyroscopic cup holder for holding your water while riding on those hot days! This setup mounts directly to one of your handlebar bolts (or any other 8mm bolt location)... It can be used on virtually any handlebar setup, from the ComposiMo RaceBarZ, or even the stock bars! Buy one or two or more... mount anything, anywhere on your bike that can accept an M8x1.25 thread bolt (Please be sure there is enough thread engagement to safely use the bolt... the general rule of thumb is at least 1.5x the diameter of the bolt for thread length... So with an M8 bolt, you'd need at least 12mm of thread engagement to be considered safe!)... This kit comes with 3 different length bolts! When you aren't wanting to carry anything, the ball is small, unobtrusive, and its BILLET, so it looks cool! ... leave it bolted down, and you can snap on any mount whenever you need to! 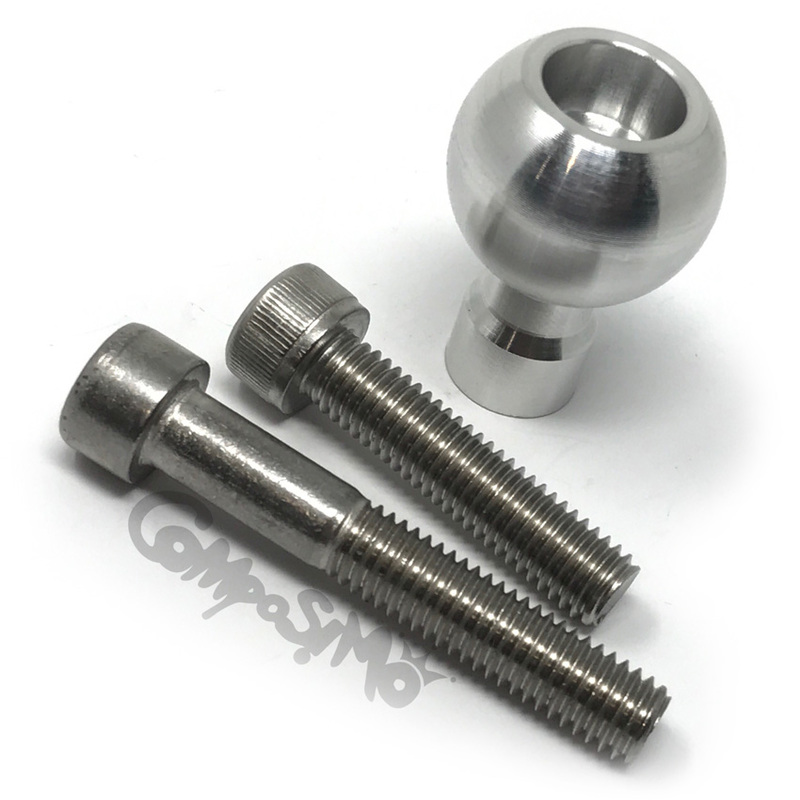 Comes with (2) 8mm Stainless Steel Bolts that should work in a variety of mounting situations. Depending on how you mount the BALL, a longer bolt may be required for safe mounting, and will require you to purchase your own hardware from a local store. Be sure that you have at least 1.5-times the bolt diameter of thread engagement! So if you are using a 1/4" bolt for mounting for instance, make sure that it has at least 3/8" of thread in the mounting hole! *Not to be used with large/heavy objects like full size DSLR cameras! Use and mount your items at your own risk!